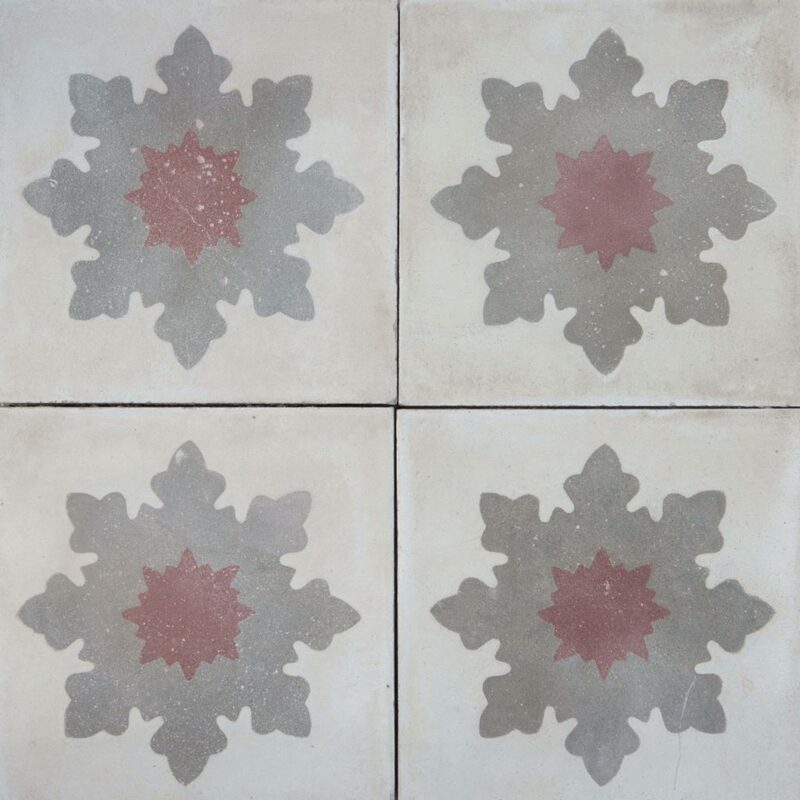 A tile with a simple traditional star/snowflake pattern. 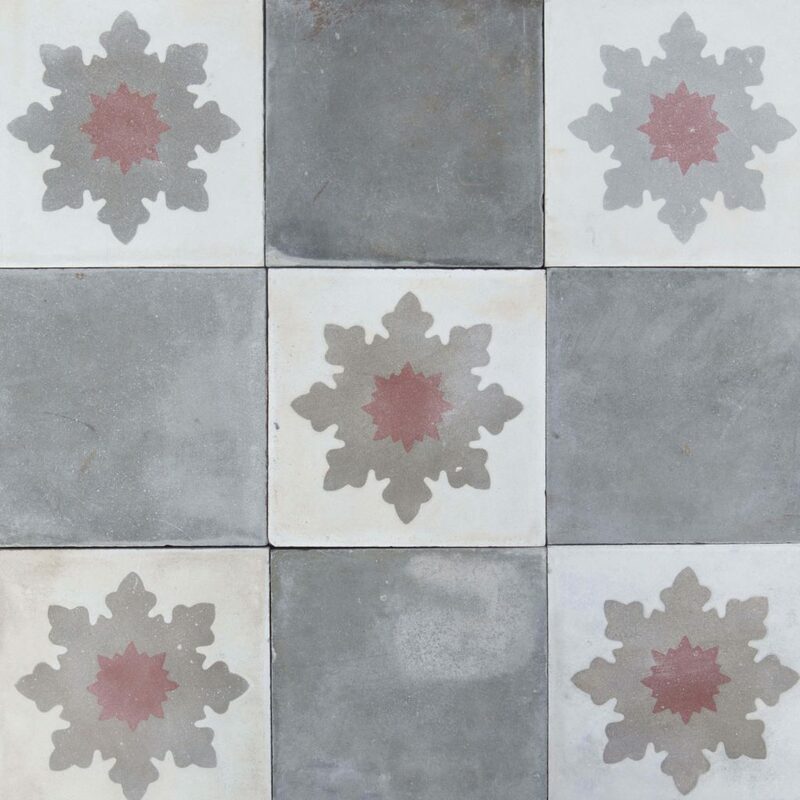 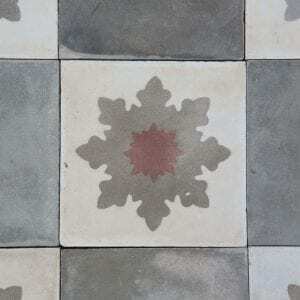 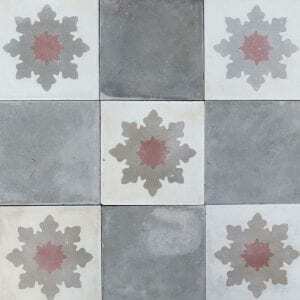 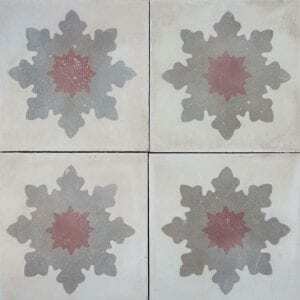 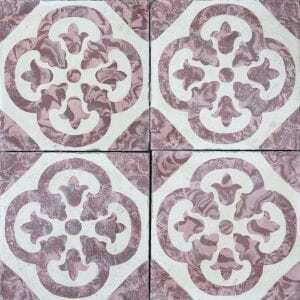 Faded red and soft grey’s make thisan easy tile to work with. 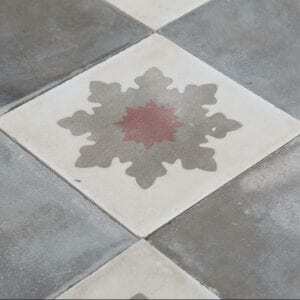 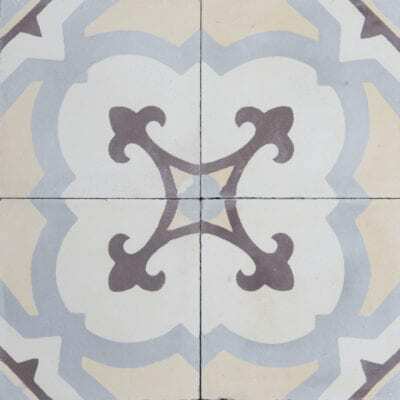 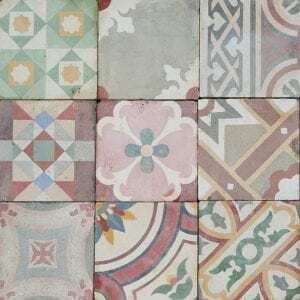 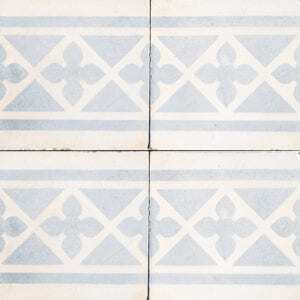 Combine with plain white, grey or red tiles.